This is the third part of a seven part series featuring the great work accomplished by the PC Caucus during the most recent legislative sitting in the Fall of 2018. We are highlighting the actions of PC MLAs in seeking accountability and answers, showing strong leadership, and advocating on important issues bringing about positive action and real changes on behalf of Islanders. Today, we are focusing on three pieces of PC legislation which brought to committee this fall: Bill 120, 121, and 122 – An Act to Amend the Municipal Government Act (No. 3, No. 4, and No.5), sponsored by Rustico-Emerald MLA Brad Trivers. Three amendments to the Municipal Government Act (MGA) introduced by PC MLA Brad Trivers were introduced in Fall 2018, in an effort to restore some fairness and correct important pieces of this flawed piece of legislation. restructured under the Act as a rural municipality. The council of the municipality may request and the Minister is authorized to designate one or more of the municipal services that shall be provided by the provincial government for the municipality. This bill amends section 85 of the Act to remove a requirement in clause 85(1)(a) that the municipal office be located in the municipality, and also adds a new subsection 85(3) that creates an exception from a requirement in subsection 85(2) related to the municipal office in a municipality that does not meet the requirements of subsection 13(1) of the Act or that has been continued or restructured under the Act as a rural municipality. The council of that municipality may, by resolution, designate a place outside the municipality as the municipal office, and may determine that the municipal office will be open to serve the public for less than 20 hours each week. This bill repeals clause 86(8)(c) of the Act and substitutes a new clause (c) that provides that the Minister, when appointing a person as chief administrative officer for a municipality under clause 86(8)(a), may direct that the person’s remuneration be paid by either the provincial government or the municipality. The PC Caucus have long been vocal in support of Islanders’ concerns around the MacLauchlan government’s Municipal Government Act, which was passed with the full support of the Green Party. In particular, serious concerns have been raised around the additional administrative burdens it places on smaller communities. Back in September, the province approved the creation of three new municipalities — Three Rivers, North Shore and Central Prince — after a recommendation from the Island Regulatory and Appeals Commission (IRAC). 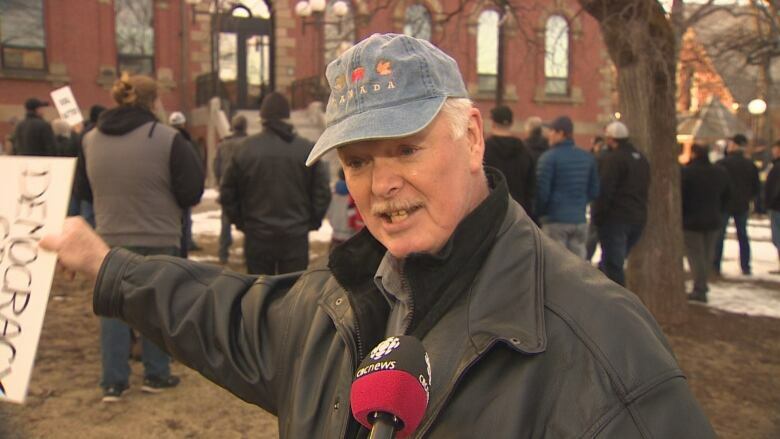 This decision brought about backlash from Islanders living in unincorporated areas of the province, who were not given a fair opportunity to participate in the decision-making process or given the chance to formally vote either for, or against, amalgamation. “Why shouldn’t I have the same rights as those living in municipalities?” asked Gary Robbins, chairperson of Coalition of Rural Islanders. The PC Caucus acknowledges that forced amalgamation is no solution to the financial burdens on small communities, seeking alternate solutions through amendments to the Municipal Government Act. Mr. Trivers introduced Bill 111 to amend the MGA in Spring 2018 which dealt specifically with changes to the amalgamation/annexation process to ensure unincorporated areas have a voice. These amendments were defeated by the MacLauchlan Liberals. During a recent public meeting in Prince County, Trivers heard from councillors in St-Nicholas who told him they were concerned about the costs their council will be required to pay. “Small municipalities, they feel that the municipal government act is really pinching them. They feel under a lot of pressure to raise taxes, so they can comply with the act,” Trivers said. The amendments introduced in Fall 2018 would have allowed the provincial government to absorb the costs of municipal services, at the minister’s discretion, easing the financial burden on small communities. As well, the Minister of Communities, Land and Environment would for a municipality’s Chief Administrative Officer (CAO) if it can’t cover the cost. A final amendment would have permitted the council of a given municipality to designate an office outside of the municipality. Municipalities could hold office hours less than the mandatory 20 hours a week. “These amendments are really meant to give the minister the flexibility, communities the flexibility to still comply with the act and still continue to exist … without having to raise taxes for their constituents,” Trivers said. Bill 121 was voted down, and Bill 120 and 122 were not brought to a vote as the government expressed their opinion that they wanted further consultations about the changes. The rejection and stalling of these amendments speak volumes of the governments lack of consideration for the voices and concerns of rural Islanders. Trivers discusses the bills in depth on his website.